At the time of this post, latest version is 8.8.8 GA Release. I have installed on servers with 4 GB RAM with out any problem. If you are installing on server with 4 GB RAM, make sure you add swap in cause you run out of RAM. 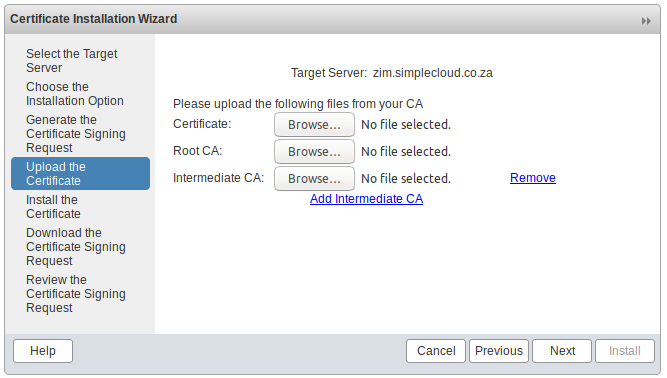 Zimbra need you set set proper hostname for your server. First add an A record for your host name and point it to your server IP. During installation Zimbra check for MX record, so make sure you set MX record for your domain, point it to the server where you install Zimbra. It will ask some questions. Most questions, you can just press enter as that is default option (Y). Once install is done, you will be asked to set admin password. Sendgrid is a SMTP (Transactional Email Provider). Sendgrid allow you to send email from your applications using SMTP or API. postconf allow you to list/change postfix configuration. Amazon Workmail is business email hosting like Google G Suite, Office 365, etc..
Workmail cost $4 per user, comes with 50 GB storage. It come with all normal access modes like IMAP, POP3, etc..
Webmail is basic with contacts and Calendar. Since i am used to Google G Suite, it feel little hard for me to use. One thing i noticed is when i sent email, i used to type recipient email address, press tab, enter subject, tag again, type message. This is the workflow i am used to in Google G Suite. When i try same in Amazon Workmail, it did not work because there are too many elements on the compose email screen and i have to press TAB multiple times to get into subject or body field. All the marked elements here force you to press TAB. After enter recipient, you need to press TAB 3 times to get into subject field, again TAB 4 times before you can start wring the message. To get to compose, you need to click “New Item” then select “New email” from drop down menu. That is lot of wasted time on a Mail application where primary purpose is to sent and receive emails. It will be better to have a “Compose” or “New email” button like most other email providers, make easy for users. I don’t think i can compare it with Google G Suite as it come with much more features like Google Drive, Documents and many more. But for business use, many of these may not required, it depends on the business. zmcontrol is CLI tool for managing Zimbra Mail Server. To use, zmcontrol, you need to become user zimbra.